All of our healing comes back to the heart. The heart chakra is the seat of our soul, and our connection to the divine energies of the universe. When we have a healthy heart chakra, we radiate pure, unconditional love, and open ourselves to the return of this love. When we experience pain, betrayal and fear, especially at an early age when we are more vulnerable, we can learn to protect ourselves by closing off the heart chakra. When we are given love with conditions, or suffer abuse, we adopt the belief that we are unworthy of unconditional love, or that this pure, untethered love is obtainable. Instead, we look at love as something with limits, building walls of protection around our own inner source of love so that we do not run out of its light, so that this light is not stolen from us, and we are not hurt by loving. This system of belief is not always easy to change. It takes security, trust and faith. When we begin to live with a healthy, open heart chakra, we need to erase the fear of vulnerability, and understand with faith that the energy we send out to the universe comes back to us in multiplied form. When we realize that we are worthy of unconditional love, we begin to see that love is limitless. From this place of heart-centered pure love, we attract the energy of joy, abundance, compassion and the gift of unconditional love from others. We become magnets for these energies, and are no longer an energetic match for fear, conditional love and betrayal. This translates to the people we attract to us. 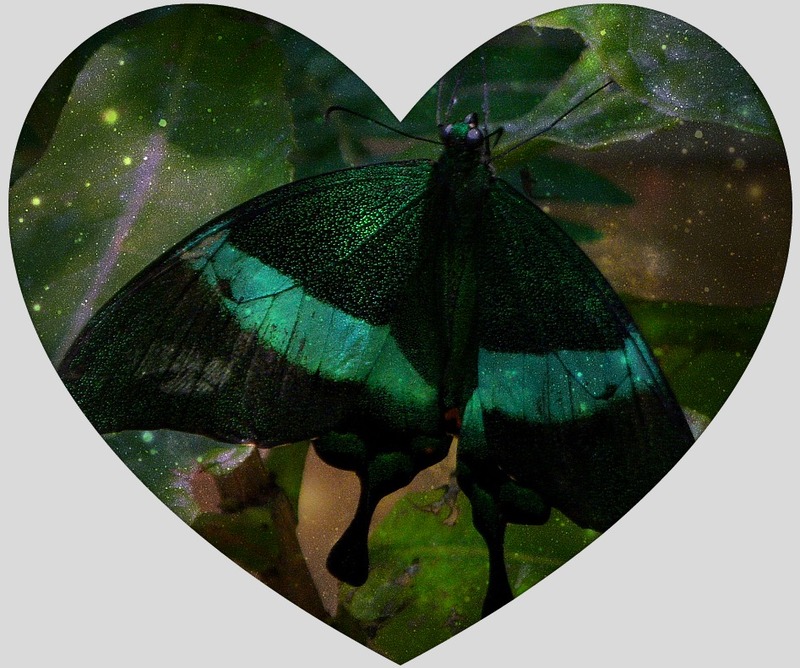 I associate the energy of the butterfly with the heart chakra. Often, during healing sessions, I will see butterflies emerging from the heart chakras of my clients as they shift into self-acceptance and let go of their conditioned fears.The energy of the butterfly is pure joy and freedom. It is beauty without limits. The butterfly teaches us that we have within us the power to transform ourselves, to shed the weight of density and grow wings. This entry was posted in Animal Messengers, Energy Healing and tagged butterfly symbolism, energy healing, faith, freedom, heart chakra, joy, trust, unconditional love. Bookmark the permalink. Very nice post, I have read and researched a lot about chakras but for some reason still not able to concentrate ( at all) I have tried, but either fall asleep or thousands of other thoughts come to my mind. Any ideas on how can I change that?